Welcome to this episode of Good Morning Crypto. In this episode you will hear Ivan discuss Fortnite and the possibility of implementing blockchain technology into the game for users. Ownership of your own digital gaming assets such as characters, skins, weapons, maps etc can be owned and controlled by you using blockchain technology. 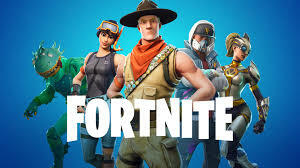 Fortnite is a game where users fight to be the last one standing. The developers have made this game free to play and make money through in game purchases and upgrades. For this reason it might be unlikely that Fortnite would implement non fungible tokens as part of the game in the short term. However this is not to say that eventually blockchain won't make its way into the realm of Fortnite gaming. Blockchain is a very wide spread use-case that can allow users and developers more control over there own gaming identity.